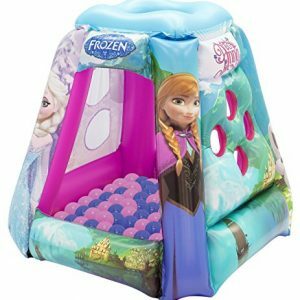 Soft: our premium, air-filled plastic is soft, comfortable and has lots of give. No pinching, no pain. Crushproof: remarkably tough! 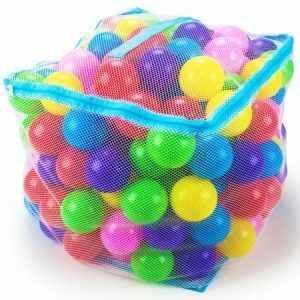 Despite softness, our plastic balls withstand heavy compression without crushing, splitting or popping. 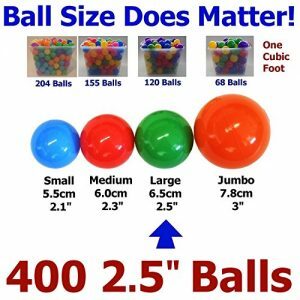 Large and in charge: with a nearly 3″ diameter, these aren’t the miniature ball pit balls many other listings offer. Using a unique 2-stage blow molding process to ensure consistency of color; thickness; quality; smooth seam & surface. 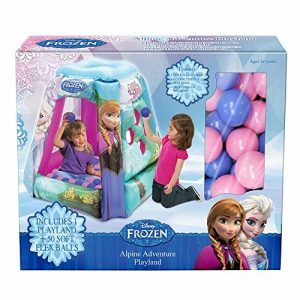 Made with 100% non-Recycled Plastic which is Phthalate Free; BPA Free & Lead Free. 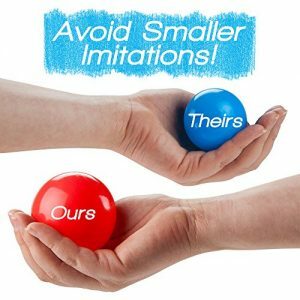 We also avoid using other chemical additives such as UV inhibitor, color stabilizer, etc., therefore, we had created the Best & Safest Balls for our younger generations. 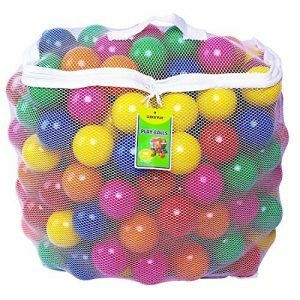 Designed in the US & Made in China, these highest quality balls are 50% more durable than most of our competitor’s products. 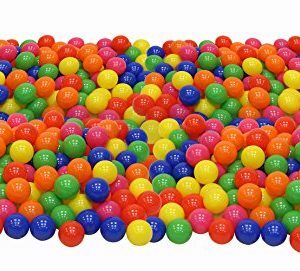 Set of 270 Wonder Invisiball in 6 colors: Red, Orange, Yellow, Green, Blue and Purple. 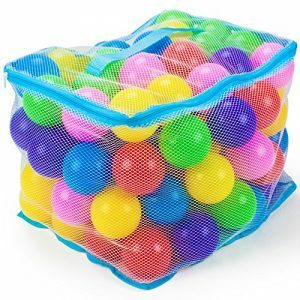 Made from non-toxic material, non-recycled & non-PVC plastic, BPA free, phthalate free and lead free. 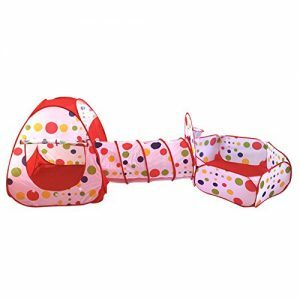 Comes with Polka Dot Toss ZoneTM. 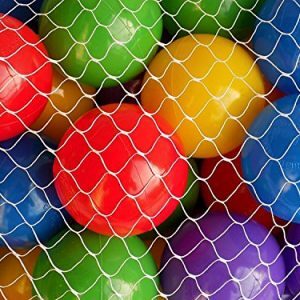 Toss Zone is a ball tossing game design for children to promote sensory learning. 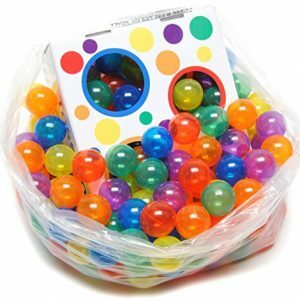 Increase hand-eye coordination, color & number recognition and counting. 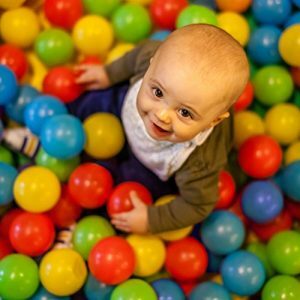 Each ball measures 6cm (2.4 inches) designed to fit a child’s hand without being too big or too small. 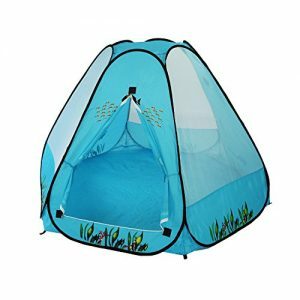 ***** Built for use in Home Environment Only!!! 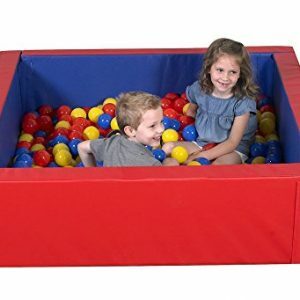 ***** Commercial Establishments; please order the Heavy Duty Commercial Grade Ball Pit Ball designed just for your business, by ordering thru separate Amazon product listing ASIN# B00AMJC7RI or simply use link: ” http://www.amazon.com/gp/product/B00AMJC7RI ” or search on Amazon using keywords: ” My Square Deals Commercial Ball Offers “. If any questions, please contact seller for details. 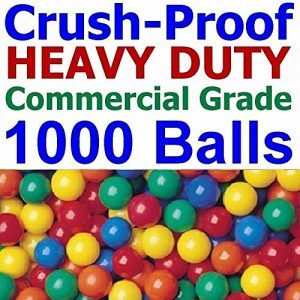 These Balls are Truly Crush-Proof ( Denting is normal, will return back to original shape). 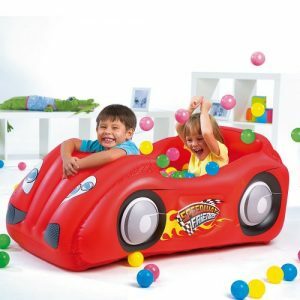 Manufactured with Phthalate Free; Lead Free, non-PVC, 100% PE Plastic Materials, in 3″ diameter (met US Government Small Parts Regulations for kids 3 years or under) in 5 Bright Colors. 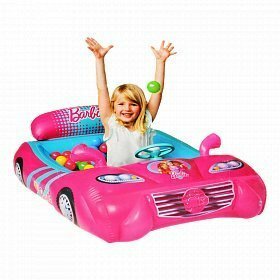 Compliant to all outstanding US Toys & Child Safety Standards. Individually date-coded to ensure quality & warranty tracking. 90 Days Replacement Warranty! Guaranteed against Crushing, Cracking & Deformation. 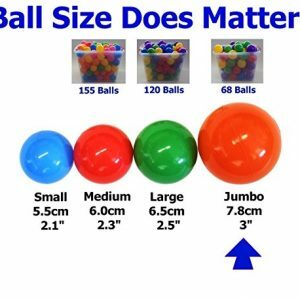 Larger 3″ Balls provide you twice the volume/mass as the 2.5″(or 65mm) balls, or 6% larger volume than the 70mm(2.75″) balls. These 3” balls would saved you money overall!. 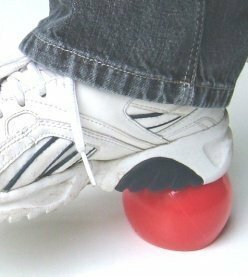 Balanced between firmness & safety, these balls were soft, gentle, safe & easy on the kids( or furnitures, TV, etc.) 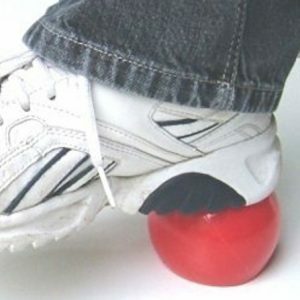 so they wouldn’t get hurt, and yet able to handle occasional rough plays. 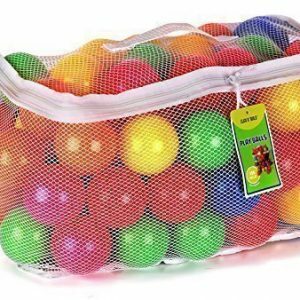 Each ball will withstand over 90 pounds of body weight. 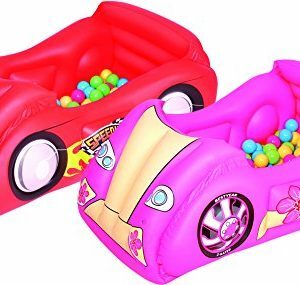 Size is ideal for multiple kids. 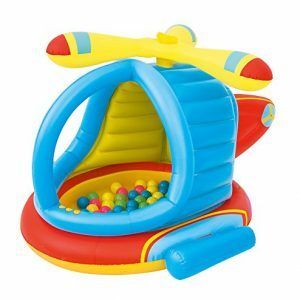 The spacious interior makes it perfect for both ball pit pool or a play tent fit for 400-600 balls. Almost 19 square foot at the base. 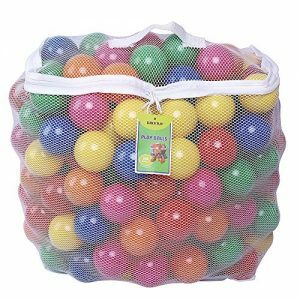 Each ball measures 2.3 inches in diameter, a perfect size for small child’s hand. 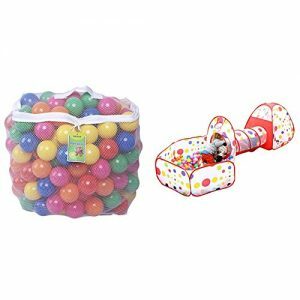 6 bright & attractive colors: Blue, red, pink, green, orange and yellow. The Doc is ready to take care of any boo boo in the Sharing is Caring Playland. 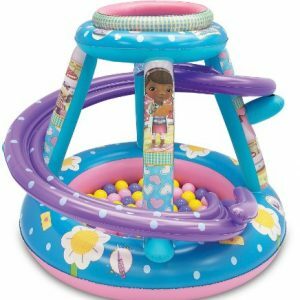 This adorable play environment features 50 colorful soft flex balls, a fun ball toss roof and an inflatable ball swirl ramp. The tale of sister love comes to life on this Alpine Adventure Playland. 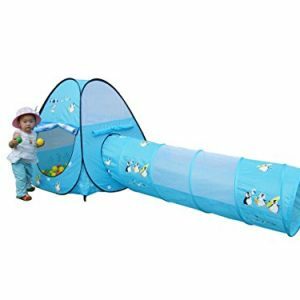 Peek through windows, two large crawl through openings, a fun ball toss roof and an interactive side play panel.